Wow. James Patterson keeps on giving--and now he's giving to individual indie bookstore employees. The bestselling author, who has donated millions of dollars to bookstores, libraries and other organizations in the U.S., U.K., Australia and New Zealand, and more than a million books to children, is giving bonuses to booksellers of $1,000-$5,000 each, for a total of $250,000. He is partnering with the American Booksellers Association. 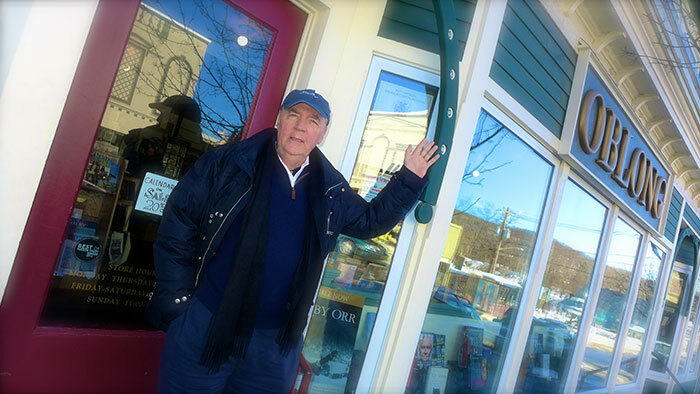 James Patterson outside Oblong Books, Millerton, N.Y., a recipient of an earlier bookstore grant. Anyone can nominate a bookstore employee for a bonus: store owners, managers, fellow booksellers, publishing professionals and shoppers. The application, which opens today and runs until November 1, asks one question: "Why does this bookseller deserve a holiday bonus?" Patterson will personally select which bookstore employees will receive bonuses, and the full list of winners will be announced in December. For more information, go to bookweb.org/bonus and follow the hashtag #JPbonus on social media. Patterson said he's giving out holiday bonuses because he believes that "bookstore employees are saving literature and that their work is critical for building a more literate America." He wants to encourage the work that booksellers do "to advance literacy in their communities, especially as independent bookstores--which have seen their numbers grow in recent years--continue to face considerable financial pressures." ABA CEO Oren Teicher said, "We are extremely grateful to James Patterson, who once again has shown himself to be a singular champion for literacy and independent booksellers. 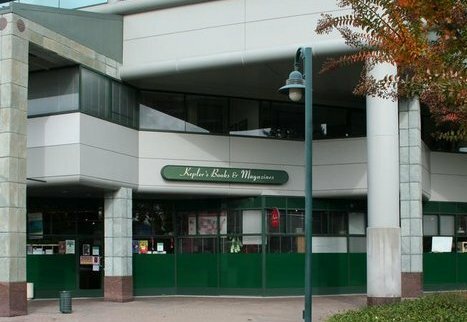 His commitment and generosity continue with this latest initiative, which will ensure that a number of independent bookstore owners will be able to offer well-earned bonuses to their colleagues in the store who are working so hard to put the just the right book in the hands of readers of all ages." Patterson added: "Every holiday season I get the chance to pick out books to give my son, Jack. I think hard about what he'll love reading--what will excite him? What will inspire him? Of course, every day booksellers ask these questions on behalf of the people in their community. And I think they should be rewarded for spreading the joy of reading. These holiday bonuses are my humble acknowledgement of the important work they do all year. Here's to you, booksellers, and to a joyful holiday season!" Perseus Books Group and FedEx have established a program, effective October 19, that will "significantly improve shipments to bookstores and other outlets across the United States," Perseus said. Under the program, most orders received electronically by 12 p.m., Eastern time, via services such as Pubnet and PubEasy, will ship the next business day. Books will arrive at bookstores within an average of two days from the Perseus distribution center in Jackson, Tenn.
"We have heard from our partners at the ABA that getting books back into stores rapidly and consistently makes a world of difference in growing sales for both the stores and for publishers," said Perseus CEO David Steinberger. Matty Goldberg, president of publishing, client and sales development at Perseus, added, "We recognize the increased importance of the independent bookselling community. They've always been vitally important to our publishers. We feel this new arrangement will help them restock our books more quickly and more efficiently into the holidays and beyond." ABA CEO Oren Teicher commented: "We are delighted that our friends at Perseus have come up with a way for stores all across the country to quickly replenish inventory, particularly during the busy holiday selling season. These programs are a win/win for booksellers and publishers and help us both sell more books. Thanks, Perseus!" In similar news, Hachette Book Group is launching "a new rapid replenishment program," whereby all orders received on Mondays by 3 p.m., Eastern time, will be entered, picked, packed and guaranteed to arrive no later than Friday of the same week. Orders placed Tuesday through Friday will be entered, picked and packed within 24 hours and shipped standard method. This includes orders received into the Hachette system via electronic ordering platforms like Edelweiss. Orders are subject to stock availability. 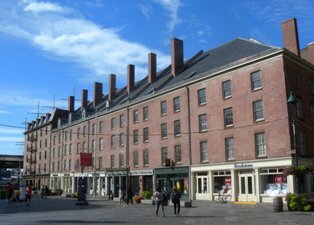 McNally Jackson will open a café-bar-bookstore on Schermerhorn Row in the Seaport District in lower Manhattan in 2017, the New York Post reported. Owner Sarah McNally told the paper that the space is "very magical and very beautiful" and that that the 1,000-square-foot café-bar on the ground floor will have outdoor seating and the 9,000 square feet upstairs will be "all about the books, and perhaps even a hidden speakeasy." In a release, she added, "I can't imagine a better setting for a bookstore than the old buildings of Schermerhorn Row. It will be thrilling to sit in the deep sills of those old windows, surrounded by books, looking out over the cobblestone streets to the river and the Brooklyn Bridge." Seaport developer David Weinreb of Howard Hughes said, "We wanted to find an unrivaled literary experience to add to the rich culture of the Seaport." McNally Jackson's main store is on Prince Street in SoHo. It also operates Goods for the Study, which offers stationery, paper, notebooks and more, and the Picture Room gallery, both nearby on Mulberry Street. 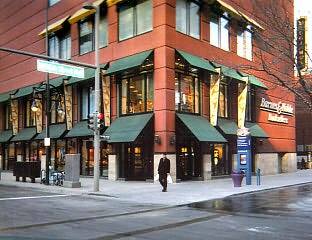 Barnes & Noble will close its store in downtown Denver, Colo., at the end of the year. The Denver Post reported that B&N's "lease expired nearly two years ago, but concessions allowed it to stay on" in the Denver Pavilions shopping mall until a new tenant was found. "We enjoyed serving our customers there and invite them to visit one of the other nearby Barnes & Noble locations including Glendale, Westminster and Denver West Village," said David Deason, B&N's v-p of development. "We are looking at other locations in the Denver area and hope to have a new store there in the future." "It's not that we don't love bookstores," said Mark Sidell, president of Denver Pavilions owner Gart Properties. "We asked them if they would stay in a smaller format." The Texas Center for the Book is moving to a new home at the Texas State Library and Archives Commission (TSLAC) in Austin, Tex. One of 52 centers affiliated with the Center for the Book in the Library of Congress, the Texas Center for the Book was established by the Dallas Public Library in 1987 to "stimulate public interest in books, reading, libraries and literacy, and to encourage the study of the written word." "We are very excited at the prospect of using the Center for the Book as a statewide platform to inform the public of the importance of books and reading and to urge Texans to take advantage of the huge resource for education, lifelong learning and cultural enrichment offered at their local libraries and archives," said TSLAC director and librarian Mark Smith. "We thank the Dallas Public Library for their excellent work with the center since its inception and look forward to maintaining the tradition of excellence that they have established." The Texas Center for the Book will support "the shared mission of library professionals, educators, authors, publishers and booksellers by promoting a love of literature to the more than 26 million residents of the state of Texas. Initiatives slated for implementation include the Letters About Literature contest, in which students (grades 4-12) write to authors about how that writer's book affected the students personally. Letters are judged on state and national levels with awards of up to $1,000." 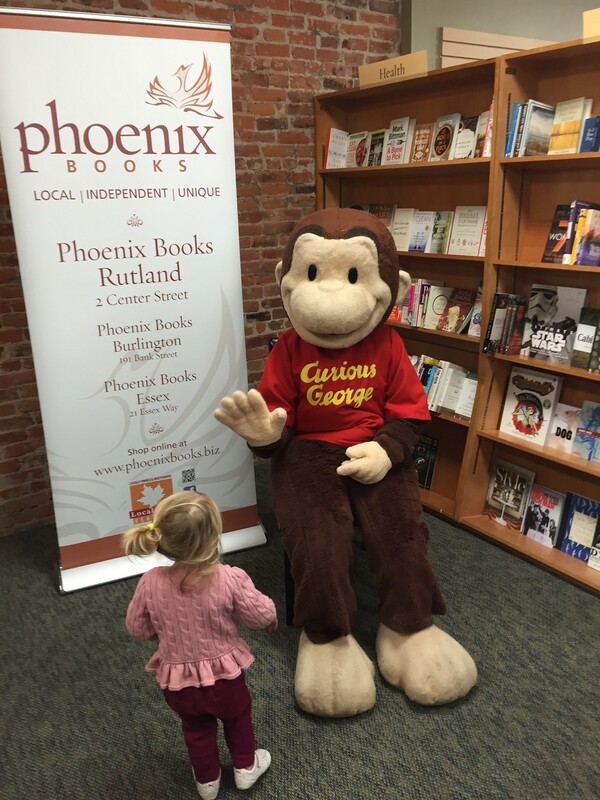 Curious George was a hit this last weekend at Phoenix Books, Rutland, Vt., where attendees lined up to visit everyone's favorite monkey. The event was part of Phoenix's grand opening week festivities for its Rutland branch. 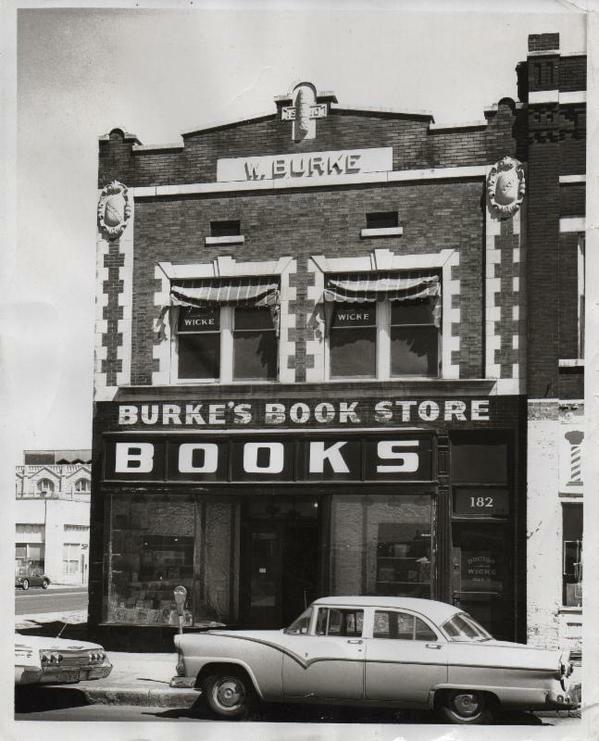 Congratulations to Burke's Book Store, Memphis, Tenn., which is celebrating its 140th anniversary with an open house on Sunday, October 18, 1-4 p.m. There will be cake and champagne, door prizes, drawings for various items and (if delivery and assembly go as planned) the unveiling of the new Burke's Book Store delivery tricycle. The store's "Buy Burke's an Anniversary Gift" IOBY fundraising campaign was successful, funding the tricycle that will be used for neighborhood deliveries, store events and activities and possibly a book mobile cart. The front window display showcases the store's 140 years in business, from when it was owned by a succession of members of the Burke family to its current owners, Corey and Cheryl Mesler. On loan from the Burke family is the large cash register purchased by Walter Burke in 1910. For this year's Chicago Ideas Week (October 12-18), the Windy City is encouraging people to read more books on the train with a program called "Books on the L," which places books on the CTA trains for commuters. Noting that the books "are not designed to be kept," Chicagoist reported that the "hope is that people will see a book that they're into, grab it, read it and then put it back on the train for someone else whenever they finish with it." People are being encouraged to participate on social media using the hashtag #BooksOnTheL. Effective April 2016, Penguin Random House Publisher Services will handle sales and distribution for Parallax Press, the nonprofit publisher founded and inspired by Zen Master Thich Nhat Hanh. Since its founding in 1986 with the publication of Being Peace, Parallax has expanded its program to include mindfulness and meditation, psychology, memoir, art and creativity, social justice, poetry and children's books. Parallax's backlist includes the How to Sit, How to Love and How to Eat series as well as No Mud, No Lotus: The Art of Transforming Suffering, How to Love, The Mindful Athlete, Anh's Anger and Planting Seeds: Practicing Mindfulness with Children. Rachel Neumann, publisher of Parallax Press, praised Penguin Random House Publishers Services' "energy, efficiency, and professionalism." Penguin Random House Publisher Services president Jeff Abraham said that in its nearly 30 years, Parallax has "carefully curated a program that is widely respected in the independent publishing community and that nicely complements what we do in the mindfulness and meditation category. They have a terrific team who are as committed to growth and relationship-building as we are." American Sweepstakes: How One Small State Bucked the Church, the Feds, and the Mob to Usher in the Lottery Age by Kevin Flynn (ForeEdge/University Press of New England). Tomorrow on Tavis Smiley: Sonia Manzano, author of Becoming Maria: Love and Chaos in the South Bronx (Scholastic Press, $17.99, 9780545621847). Also on Tavis Smiley: Tukufu Zuberi, author of African Independence: How Africa Shapes the World (Rowman & Littlefield, $30, 9781442216419). Tomorrow on Sirius XM Radio's Stand Up! with Pete Dominick: Vicki Abeles, author of Beyond Measure: Rescuing an Overscheduled, Overtested, Underestimated Generation (Simon & Schuster, $26, 9781451699234). Tomorrow on Diane Rehm: Ta-Nehisi Coates, author of Between the World and Me (Spiegel & Grau, $24, 9780812993547). Tomorrow on the Meredith Vieira Show: Jewel, author of Never Broken: Songs Are Only Half the Story (Blue Rider, $27.50, 9780399174339). Also on Meredith Vieira: David Gregory, author of How's Your Faith? : An Unlikely Spiritual Journey (Simon & Schuster, $26, 9781451651607). He will also appear on the Late Show with Stephen Colbert. Tomorrow night on the Late Late Show with James Corden: Nathan Lane, co-author of Naughty Mabel (Simon & Schuster, $17.99, 9781481430227). Tomorrow night on Jimmy Kimmel Live: Lena Dunham, author of Not That Kind of Girl: A Young Woman Tells You What She's 'Learned' (Random House, $16, 9780812985177). Tandem Productions (The Pillars of the Earth, World Without End) "is getting back into the Ken Follett business," Deadline.com reported. The Studiocanal subsidiary has optioned the author's 2000 novel Code to Zero to be adapted as a limited series. Although the original story takes place in 1958, the TV version "will be set in the present day when a man awakens to find himself lying on the ground in a railway station with no memory of how he got there or even his own name. Slowly, he rediscovers his entire life through detective work, uncovering secrets of a conspiracy which is set against the battle for global space supremacy between the U.S. and China," Deadline.com wrote. A new trailer is out for Trumbo, based on Bruce Cook's 1977 book Trumbo: A Biography of the Oscar-Winning Screenwriter Who Broke the Hollywood Blacklist, Indiewire reported. Directed by Jay Roach, the film stars Bryan Cranston, Helen Mirren, Adewale Akinnuoye-Agbaje, Louis C.K., David James Elliott, Elle Fanning, John Goodman, Diane Lane, Alan Tudyk and Michael Stuhlbarg. Trumbo hits theaters November 6. Saudi blogger and activist Raif Badawi is sharing the 2015 PEN Pinter Prize with British poet, journalist and literary critic James Fenton. Badawi was named the 2015 International Writer of Courage, selected by Fenton from a shortlist of international cases of concern supported by English PEN. Badawi was first imprisoned in Saudi Arabia in 2012. In May 2014, he was fined one million riyals (about $266,650), given a 10-year prison term and sentenced to 1,000 lashes. Charges against him include "violating Islamic values and propagating liberal thought." "What moved me was the contrast between the simplicity of Badawi's liberal aims--their modesty, almost--and the ferocity of the punishments they have brought down on him," Fenton said. "Imprisonment, astonishing fines, corporal punishment designed to break either the spirit or the body first and to act as a chill warning to others. It is a world of inconceivable cruelty, but intimately linked to ours by business, strategic interests, military and diplomatic ties. For our part, then, protest has a purpose and--who knows?--perhaps even a chance of some sort of success." The public flogging of Badawi last January sparked global outrage, and a campaign for his case, spearheaded by his wife, Ensaf Haidar, has gathered international support. 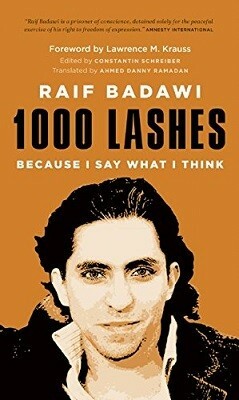 An anthology of his writings, 1000 Lashes: Because I Say What I Think, was published in August, with proceeds being donated to his family to aid their efforts for his release. Kirsty Logan won the Polari First Book Prize, which "celebrates the best debut books exploring the LGBT experience," for her short story collection, The Rental Heart and Other Fairytales, the Bookseller reported. Chair Paul Burston said the judges "were enormously impressed with Logan's command of language and skillful story telling. She writes from a variety of queer perspectives, showing us a range of outsider's viewpoints. Her characters are compelling, alienated, and trying to find a place themselves in a world with which they are at odds. For a first book, The Rental Heart and Other Fairy Tales is remarkably assured. Each tale feels like a work of art in miniature, a controlled experiment in transformative storytelling." The winner in the fiction category of the inaugural FT/OppenheimerFunds Emerging Voices Awards was Chigozie Obioma of Nigeria for The Fishermen. (Yuhang Ho of Malaysia won in the film category, and Cristina Planas of Peru for art.) The competition involved more than 800 artists from 65 emerging-market nations; each winner receives $40,000. This uplifting, heartrending story by British author Michael Morpurgo (War Horse) opens in May 1915 in the Scilly Islands, 25 miles off the English coast of Cornwall. Jim Wheatcroft and his son, Alfie, are out in a boat, trying to catch plenty of mackerel for supper, so Alfie's mother won't be upset there's not enough, plus a crab for her twin brother, Uncle Billy, who's out of the asylum now but still in "a world of his own." Just as father and son are fishing near the island of St. Helen's, Alfie hears an "almost human" crying coming from the eerie, centuries-old quarantine site, the Pest House. Alfie and Jim discover a half-starved, nearly lifeless waif, and row her home to Bryher, to the safety of Veronica Farm, where they live. "Lucy" is the only word she speaks, but her gray blanket, marked with the name Wilhelm, identifies her as possibly German--"a lousy Hun," jeers Cousin Dave. Still, "Lucy Lost," who is a mystery, a silent mermaid or ghost child to the whispering locals, is a welcome distraction from the growing list of wartime casualties in France and Belgium. Sweet, good-natured Alfie makes the best of having a withdrawn, empty-eyed new friend, after all, he's had practice prattling on one-sidedly with Uncle Billy, but it isn't until Dr. Crow brings over his gramophone and plays Chopin that Lucy gets out of bed, and says another word: "Piano." With that word, readers are instantly whisked to New York, two months before Lucy shows up in England. In a section that feels unrelated but is soon connected to the story, a girl named Merry is talking about playing Papa's favorite piece, Mozart's Andante Grazioso, on the piano. But her Canadian Papa has gone off to Europe to fight in World War I, and is now wounded in a hospital in England. Father and daughter had made a promise to think of each other, and Mozart, when they "listen to the moon." Mother and daughter decide they miss Papa too much, and they risk a wartime transatlantic crossing--and the threat of German torpedoes--to join him. Back on Bryher, Lucy is getting color back in her cheeks, as satisfying as when sickly Mary Lennox starts to blossom in The Secret Garden. The bountiful love of the generous Wheatcrofts, her music and drawing, and a "whiskery old horse" named Peg that won't let anyone but Lucy ride her slowly bring her back to the world. Morpurgo pulls together the perspectives of several of the story's players to solve the puzzle of Lucy's identity, including journals from Dr. Crow and notes from the tyrannical schoolmaster who wants the quiet, talented girl institutionalized. World War I is never far from the islanders' minds, as a once-exuberant boy named Jack Brody with an amputated leg wheels about Bryher. Dr. Crow laments, "[D]o I have to love war to love England?" 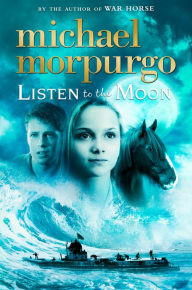 Shelf Talker: Michael Morpurgo tells a moving story about a girl who's discovered on a deserted island near England's Cornwall in 1915. "I think our bestseller list speaks to our community's willingness to go along with booksellers' passion," said Leigh Atkins, associate buyer at Kepler's Books in Menlo Park, Calif., reflecting on the store's bestseller list for the week ended on September 19. "It's not uncommon to have passionate booksellers at stores, but the community culture that supports us is really exceptional." Two of the top three spots on the bestseller list belong to books from the middle grade fantasy series Magisterium by authors Holly Black and Cassandra Clare (Scholastic). The Iron Trial, the first book in the series, is at number one, while The Copper Gauntlet, the second book, is at number three. Clare and Black were at Kepler's for an event on September 18 promoting The Copper Gauntlet, which hit stores earlier this month. 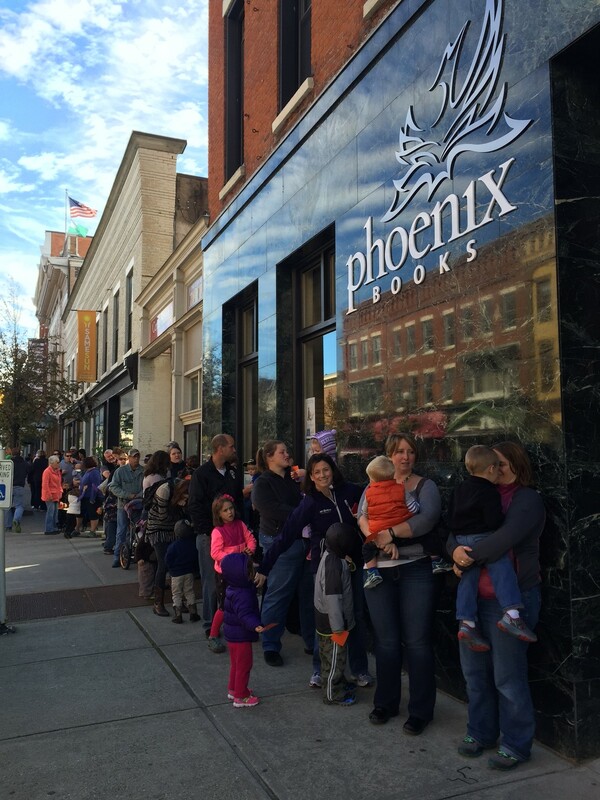 To enter the signing line, customers had to have a copy of either book. "We have a pretty strong youth events program with a very strong following in the area," said Atkins. "We tend to draw some big crowds for those." In fact, on any given week, many of Kepler's bestsellers are tied to upcoming or recent events. During the week of September 19, the store hosted an event every night; on an average week, Atkins noted, the store hosts around three or four events. She added: "Events drive a lot of sales for us, which is really nice." The second bestselling book on the list, Marina Krakovsky's The Middleman Economy: How Brokers, Agents, Dealers and Everyday Matchmakers Create Value and Profit, was also an event book. On September 15, Krakovsky visited the store to discuss her book on the ever-growing importance of middlemen--literary and sports agents, brokers, wedding planners and other intermediaries--in today's world. Due to Kepler's proximity to the tech industry--Menlo Park is in Silicon Valley--there are many events related to technology and how it affects our daily lives. In that sense, Krakovsky, a journalist based in Silicon Valley, is a local writer and her book is one of local interest. Books 4 and 5 on the list, Humans Need Not Apply: A Guide to Wealth and Work in the Age of Artificial Intelligence by Jerry Kaplan and Machines of Loving Grace: The Quest for Common Ground Between Humans and Robots by John Markoff, were both event books and similarly have technology themes. Markoff and Kaplan shared the stage at Kepler's on September 17 to talk about their books and the broader topic of artificial intelligence. "That was a great Kepler's event," said Atkins. "We do lots of events about tech. It comes up a lot." The highest adult fiction book on the list is Andy Weir's The Martian, at number six. The sci-fi novel has seen an uptick in sales since the publication of the movie tie-in version, Atkins said, but the book has been on the bestseller list since its publication in hardcover in 2014. Weir lives in Mountain View, not far from Menlo Park, and he began publishing the story in serial format on his blog, before self-publishing an e-book version in 2011. "It's been a staff pick of one of our booksellers since it came out," Atkins added. "There were people in store following it when it was just a web series." All the Light We Cannot See, Anthony Doerr's Pulitzer Prize-winning novel set in Nazi-occupied France, is at number seven on the list. Like The Martian, it has been on the store's bestsellers list more or less constantly since its publication. The store's eighth bestselling book is another nonfiction title and event book: How to Raise an Adult: Break Free of the Overparenting Trap and Prepare Your Kid for Success by Julie Lythcott-Haims. Kepler's did an offsite event with Lythcott-Haims in June, shortly after the book's publication, and it's been a strong seller since. The book examines the dangers of "helicopter-parenting" for both children and adults. The penultimate spot on the list belongs to a photography book called Faces of Courage: Intimate Portraits of Women on the Edge. Mark Tuschman, a Menlo Park photographer, spent years traveling across developing countries and photographing women living, working and surviving in difficult situations. Tuschman was featured on In Deep Radio, a radio program with Angie Coiro that Kepler's hosts live each week. And rounding out the list is Lauren Groff's third novel, Fates and Furies. Published on September 15, the book chronicles a complicated and multi-faceted marriage spanning more than two decades. Fates and Furies has been one of Atkins's own staff picks since its publication.